Hey remember that time when Eurogamer decided Tetsuya Mizuguchi’s Tetris Effect was the best game of 2018? Well, Enhance has announced that it’ll be letting PS4 owners play it for free this weekend, no purchase required. So, assuming you haven’t managed to give Tetris Effect a go already, now’s your chance to check it out and immediately rush back to the comments section to tell us how wrong we were. That’s fine, I have no stake in this. I voted for Sea of Thieves. Tetris Effect’s free weekend starts tomorrow, February 8th, and wraps up on the morning of February 11th. Once the event is over, that’s it – the limited-time demo will basically be a useless husk of bytes that you’ll want to purge from your hard-drive as soon as possible. While the demo still functions, however, participants in the free weekend will have access to three stages from Tetris Effect’s main, 27-stage Journey Mode campaign, plus two of its Effect Modes: Marathon Mode and Mystery Mode. The former challenges players to get the best score possible within a 150-line limit, while Mystery Mode asks players to survive a Marathon session while positive and negative effects randomly occur. In other words, it’s more or less the same demo as the one released prior to Tetris Effect’s launch last year. The trial, which can be downloaded through the PlayStation Store, is fully playable in 2D (with optional 4K resolution and HDR support on PS4 Pro) and also allows additional bedazzlement via PSVR. Enhance notes that an online connection is required while playing the demo, thanks to its limited-time nature, but that this restriction doesn’t appear in the full game. 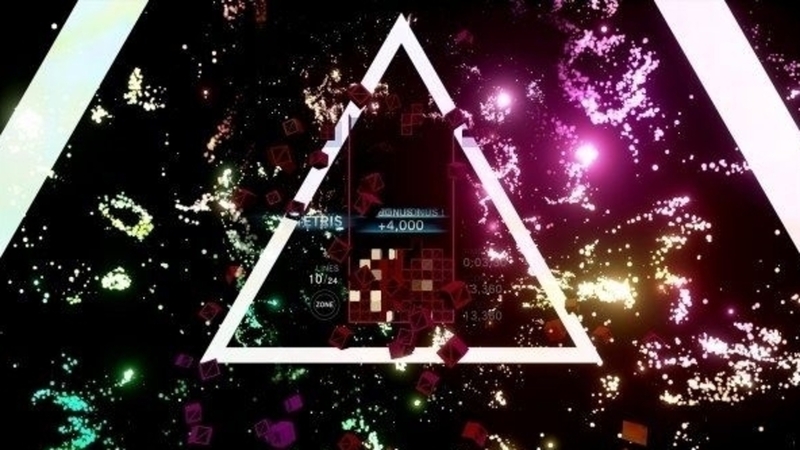 When Eurogamer tooted its heralding horns and drew back the curtain to reveal its game of 2018, Martin Robinson called Tetris Effect “a warming dose of spiritual sedative that I’ve slipped back into more than any other game in 2018, ushering me off to a happy place as soon as those first tetrominoes begin to fall”. And if you come away from the demo equally enraptured, the full game is discounted by 25% on the PlayStation Store throughout the weekend.